Sub:- School Education - Engaging of Vidya Volunteers through School management 12,000/- per month for the Academic Committees (SMCs) with a honorarium of Year 2018-19- Orders communicated-Reg. l. Act 10 /2018, dated: 30.03.201. 2. G.O.No.97, School Education (Prog.D Department, dated 29.062016 along with guidelines. 3. G.O.Rt.No.48, School Education (Prog.I) Department Dated:02.06.2018. All the District Educational Officers in the State are informed that, the Govt in the G.O. 3rd reads above accorded permission to engage 16781 Vidya Volunteer during 2018-19, which includes 15,473 Vidya Volunteers against the Sanctioned Vacant Posts due to Retirement, Long Leave Vacancies etc,. And 1308 Vidya Volunteers in all Local / Govt PS, UPS& HS in other than Telugu and English Medium Schools to implement Telugu For Academic Year 2018-19. The honorarium to the Vidya Volunteers is Rs.12000/- (Rupees Twelve Thousand Rupees only) per month per head. Further all he District Collectors and the District Educational Officers in the State to engage the Vidya Volunteers (as per annexure) in the schools for the academic year 2018-19.
with reference to the Certificates enclosed and submit the same to the District educational Officer duly countersigned by 17th july, 2018. 2. The District educational officer shall finalize the selection as per the guidelines issued by the by the Government in the G.O. 2nd read above with the approval of the district level Committee under the Chairmanship of the District Collector communicate list of vidya volunteers to the Mandal Educational officers by 18th July, 2018. 3. The Mandal Educational Officers shall complete, the verification process as per the guidelines issued by the Government in the G.O. 2nd read above, and furnish list of Vidya Volunteers to the SMCs by 19th July, 2018. 4. The SMCs shall enter into the agreement with the Vidya Volunteers as per the guidelines issued by the Government in the G.O. 2nd read above, and engage the services of Vidya Volunteers from 20th July, 2018.without fail. 6. The Vidya volunteers shall be engaged to ensure regular functioning of the schools. 7. Candidates should have completed 18 years of age and upper age limit is 44 years as on 1 July, 2018, (5) years per relaxation is given in case of SC/ST / BCs and (10) Years For Physically Challenged Person. 8. Unit of roster is the District. A: per the sanctioned number of Vidya Volunteen for the year 2018-19 the District Education-l Officer (DEO) shall allot roster points first to the Mandal by arranging the Mandals in English alphabetical order.later, In the Mandal he will arrange habitations in English alphabetical Order to follow the Govt guidelines issued in G.O.Rt.No.97 School Edn(prog1) Dept, dated: 29.06.2016. 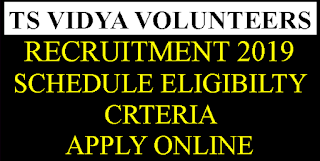 Therefore they are requested to strictly adhere the guidelines and complete the process of engaging Vidya Volunteers as per the schedule and submit compliance upon by 20th July, 2018. without fail. Any deviation of instructions will be viewed seriously. Government of Telangana Given permission to appoint 16781 Vidya Volunteer in the Government/ Local body Schools of Telangana State.Due To Court Cases Delay of Teacher's Recruitment (DSC) Appointment in TELANGANA STATE. Government of telangana is going to take services of Vidya volunteer for the year 2018-19 till Regular teachers Appointment. TS Govt is decided to take Vidya volunteers service in Telangana Schools may be From June,2018 for the academic year 2018-19. Government of Telangana department of School Education –released G.O.Rt.No.48 Dated:02-06-2018 for Engaging the services of (16781) Vidya Volunteers through School Management Committees (SMCs) with an Honorarium of Rs.12,000/- per month in the Academic Year, 2018-19 Permission Accorded Orders Issued. In the circumstances reported by the Commissioner and Director of School Education, Telangana, Hyderabad in the reference 3rd read above, after careful examination of the matter, Government hereby accord permission to the Commissioner and Director of School Education, Telangana, Hyderabad to engage the services of (16781) (Sixteen Thousand, Seven Hundred and Eighty One) Vidya Volunteers i.e., 15,473 Vidya Volunteers against Regular, Vacant and Leave Vacancies and 1308 Vidya Volunteers required for Teaching Telugu Language in all the Local / Government Primary Schools and Upper Primary Schools in ‘other than’ Telugu Medium Schools and English Medium Schools, from the month of June, 2018, for the Academic Year, 2018-19, with an Honorarium of Rs.12,000/-(Rupees Twelve Thousand only) per month, only up to the time newly recruited regular teachers join duty. 1.Vidya Volunteers services are purely temporary and can be terminated based on justifiable grounds, by the School Management Committees (SMCs). 2.The services of Vidya Volunteers shall be engaged to ensure regular functioning of the Schools. 3.Candidates should have completed 18 years of age and upper age limit is 44 years as on 1st July, 2018. (5) years relaxation is given in case of SCs / STs /BCs and (10) years for Physical Challenged persons. 5.The DEO shall communicate the list of Schools along with roster points to the Mandal Educational Officers concerned for engaging the Vidya Volunteers. The Mandal Educational Officers in turn shall display the details on the Notice Boards of the Mandal Resource Centers, Primary Schools ,Upper Primary Schools, High Schools and all Gram Panchayats in the Mandal. The District Educational Officer shall give a Press Note stating that the eligible Candidates shall apply online and display the details on his website. 6.The Candidates shall apply online and submit a signed print out of the application he/she uploaded along with the Certificates required to the Mandal Educational Officer of the Mandal to which he/she applied within the time specified. The Mandal Educational Officer shall cause verification of the applications with reference to the Certificates enclosed and submit the same to the District Educational Officer duly countersigned. Copies of the SSC, Intermediate, Graduation, Post Graduation ,D.Ed., B.Ed., TET , Pandit Training, Oriental Title/ Bhasha Praveena/ Vidhwan along with Marks Memo. Local Candidate Certificate or Study Certificate issued by the Tahasildar . Caste Certificate issued by the Tahasildar ( Local Tribe Certificate in case of Agency area) . 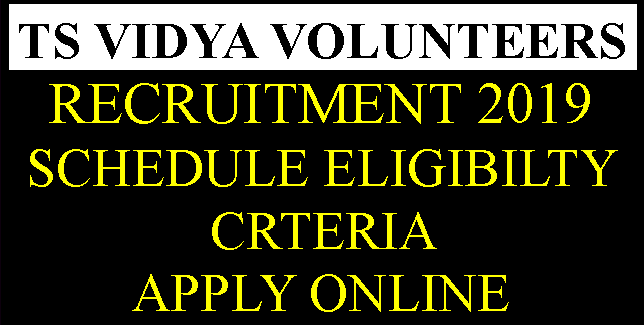 7.Engaging of Vidya Volunteers in Agency area shall be from local ST Candidates only. If local ST Candidates are not available, then other ST Candidates from Agency Area and later non-ST candidates residing in the Agency area shall be considered . d) Teacher Eligibility Test Paper II - 20 % weightage on total marks secured e) Post Graduation in the relevant - 10 % weightage on total marks secured subject. 10. 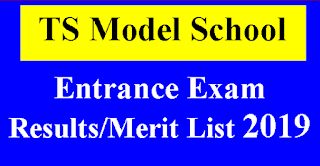 If weightages of two or more Candidates are equal, qualification and then age shall be taken into consideration for arriving at the order of Candidates in the merit list. 11. Mandal is the unit for engaging of Vidya Volunteers basing on the roster points allotted to the Mandal. Merit lists shall be generated for each Mandal. As far as possible, Candidates belonging to the same Mandal shall be engaged as Vidya Volunteer. If qualified Candidate is not available for a particular roster point in the Mandal, Candidates from the other roster points may be taken from the same Mandal. For Example If no ST (W) Candidate is available in the Mandal, ST (General) may be considered . If no ST candidate is available in the Mandal, SC (W) may be considered . If no SC (W) Candidate is available in the Mandal , SC (G) may be considered . If no SC candidate is available in the Mandal, following sequence shall be followed BC-A (W), BC-A (G), BC-B(W), BC-B(G), BC-C(W), BC- C (G),BC-D(W), BC-D (G), BC-E(W), BC-E(G) , OC(W), OC(G). In case of non- availability of candidates for Ex.Servicemen quota/ PHC quota in the Mandal, Candidates from Open Completion list may be considered. 14. The District Collector shall oversee the entire process of engaging these Vidya Volunteers duly considering the Vidya Volunteers already engaged as per the references 3rd & 4th cited in the G.O. They shall decide based on the enrolment status in the Schools as on 30.06.2016; the regular Teachers available; vacancies available and also based on the rationalization norms indicated in the G.O.Ms.No.11, Education (Ser.II) Department, dt:15.06.2015 and G.O.Ms.No.17, Education (Ser.II) Department dt:27.06.2015 about the number of Vidya Volunteers required. 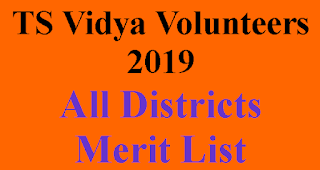 After finalization of the Lists of Vidya Volunteers by the District Level Committee, the same shall be communicated to the Mandal Educational Officers for onward communication to the School Management Committees for engaging the services of the Vidya Volunteers in the Schools Any grievances on these Final Lists shall be considered in Appeal by the Director of School Education within a week.